We are your Solution for your air conditioning, heating and plumbing service. Our plumbers and HVAC technicians are professional, polite, and treat your home with the utmost care. 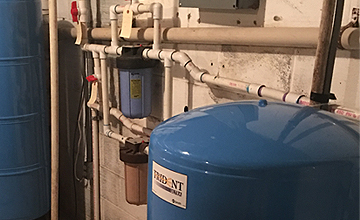 From simple plumbing repairs to complex heat pump installations, our technicians provide exemplary plumbing and HVAC services in the Valley and Northern Virginia Area. Your satisfaction is guaranteed. Financing is available for any of our services. Call us today to schedule a consultation. When looking for a quality plumbing or HVAC repair company in the Valley or Northern VA area, we want you to feel confident and comfortable. Our plumbers and HVAC technicians are professional, polite, and treat your home with the utmost care. 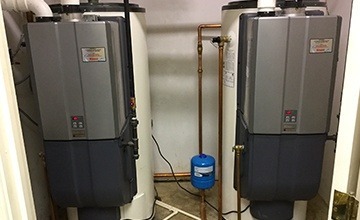 Our knowledgeable repair techs are experts in the areas of plumbing, air conditioning, and heating repair, including hot water heaters, sewer lines, backflow preventers, pipe leaks, drain clogs, air conditioning units, heating systems, heat pumps, air ducts, and main service lines. 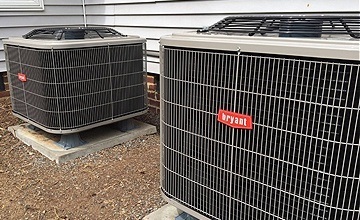 From simple plumbing repairs to complex heat pump installations, our technicians provide exemplary plumbing and HVAC services to the Augusta, Rockingham, Albemarle, Culpeper, Fauquier, Prince William and surrounding areas. Call us today! Prompt, kind, and learned a lot along the way. Would highly recommend and will use again! Thank you. Fantastic service. 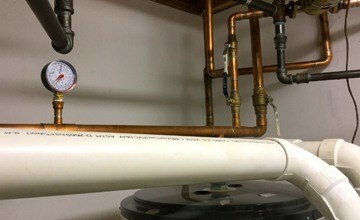 John was very helpful, explained the issues and the process as he was installing the new water heater. Also, provided information on how to maintain and care for our new water heater. I would highly recommend this company to my family and friends! We have livestock so when the water system broke down we had a big issue. Solutions Mechanical responded within an hour and stayed until the problem was solved, which was a big problem. The service was outstanding and I would not hesitate st all to give my highest recommendations.